Spicer's back after a quiet weekend in the White House. He opened with a strong defense of the AHCA, as he's done for every briefing since the draft of the new GOP healthcare bill was released last Monday. Spicer also confirmed that Trump is meeting with Chinese President Xi Jinping; nodded to Trump's first Cabinet meeting this afternoon — where 4 seats will be vacant thanks to the Senate delaying their confirmations; and noted that Preet Bharara's firing was "standard procedure." Trump's salary: "The president's intention is to donate his salary at the end of the year... and he's asked that you all determine where it goes," said Spicer. 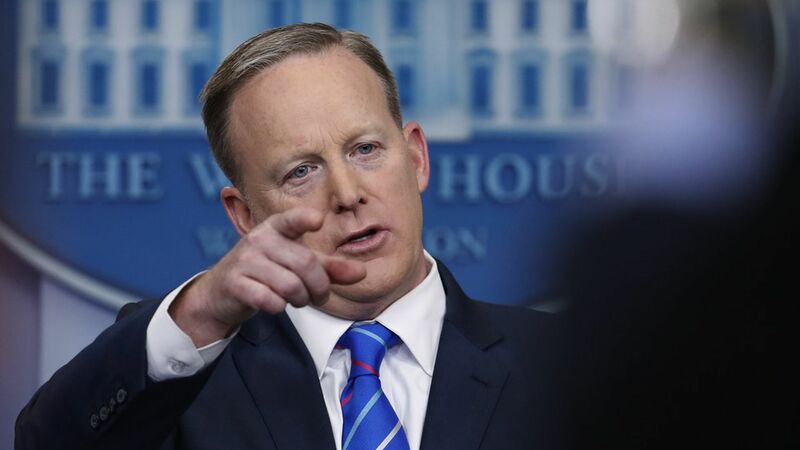 Obama wiretapping: "If you look at the president's tweet, he said 'wiretapping'" said Spicer, adding that Trump doesn't mean that Obama personally tapped his phones... he used the term broadly, "that's why it was in quotes." He also noted that "from a WH perspective" there's been an abundance of media reports on intelligence abuse during the 2016 election. Trump's meeting with Angela Merkel is postponed to Friday March 17 due to the upcoming snow storm.